Jack London was an American author who wrote The Call of the Wild, White Fang, and The Sea Wolf along with many other popular books. A pioneer in the then-burgeoning world of commercial magazine fiction, he was one of the first Americans to make a lucrative career exclusively from writing. The Call of the Wild is a novel by American writer Jack London. The plot concerns a previously domesticated happy dog named Buck, whose primordial instincts return after a series of events leads to his serving as a sled dog in the Yukon during the 19th-century Klondike Gold Rush, in which sled dogs were bought at generous prices. Published in 1903, The Call of the Wild is London's most-read book, and it is generally considered his best, the masterpiece of his so-called "early period". Because the protagonist is a dog, it is sometimes classified as a juvenile novel, suitable for children, but it is dark in tone and contains numerous scenes of cruelty and violence. London followed the book in 1906 with White Fang, a companion novel with many similar plot elements and themes as Call of the Wild, although following a mirror image plot in which a wild wolf becomes civilized by a mining expert from San Francisco named Weedon Scott. The Sea-Wolf is a psychological adventure novel by American novelist Jack London about a literary critic and other survivors of an ocean collision who come under the dominance of Wolf Larsen, the powerful and amoral sea captain who rescues them. FCIT. "Jack London author page." Lit2Go ETC. Web. 18 April 2019. <https://etc.usf.edu/lit2go/authors/41/jack-london/>. 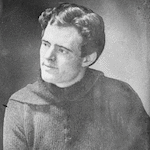 FCIT, "Jack London author page." Accessed April 18, 2019. https://etc.usf.edu/lit2go/authors/41/jack-london/.